We specialize in placing our clients with the best life insurance companies that specialize in specific niches that fit each client’s individual need. There is no one size fits all company, policy, or client. So whether you need to find the top exam or no medical exam life insurance policy, we are here to help guide you through the process of obtaining the right policy for the right price—for you! For sample rates by age, please see our life insurance rates by age chart. Buying life insurance for 40 and over. This article is intended to provide those who are in their 40’s with the tools they’ll need to secure their families with the absolute best life insurance coverage money can buy! You might be interested in estate planning or simply trying to provide for your family’s basic needs; either way, life insurance is one of the most important tools you need to protect your family. So whether you already have some life insurance coverage in place and are just considering purchasing some additional coverage, or you’re just beginning to look for your first life insurance policy, the information you’ll find below will certainly provide you with what you’ll need to know so that you’ll be sure to get the right type of life insurance coverage. Now is the time! Consider no exam coverage instead of taking an exam. Often, the reason people applying for life insurance come back at an elevated premium is due to some latent health issue. High blood pressure, high cholesterol, high blood sugar, etc…are typically asymptomatic. Meaning, you don’t realize you have them because the symptoms are not distinguishable. At TermLife2Go, we recommend taking a different route. Lock into no medical exam versus taking an exam. Once your coverage is secure, then take an exam. This way you do not jeopardize qualifying for coverage. One of the most important factors that will affect the cost of your insurance is price is your age. And once you hit your 40’s price will begin to dramatically increase from year to year. The good news is the coverage will still be relatively cheap, even if you are looking for a million dollar life insurance policy or more. For the primary breadwinner of the household and/or for a business owner considering a buy-sell agreement, getting life insurance now can be a huge cost savings. For example, it’s not uncommon for a 45 year old in perfect health to have to pay nearly 33% more for their insurance than a 40 year old would! This same age difference during you’re 30’s would only result in a 13% price increase. So you can see that for every year that you wait to purchase your life insurance in your 40s, regardless of your health, you’re going to be paying more! So the take away should be, DON’T WAIT! – That we’re not superman. – That we can no longer eat anything that we want. – The difference between “Good and Bad” cholesterol? – What it means to be pre-diabetic! …we still have a chance to lock into a great rate on our life insurance without having to go into any additional details regarding our current health status! Here is another great thing about buying life insurance in your 40s, while you are young and healthy—a conversion option. Virtually every life insurance policy has an option to convert the policy to a permanent policy before the policy ends or by age 70. So if you choose to go the cheaper route and buy term life insurance, you can always convert the policy to a permanent policy and keep the coverage for the rest of your life. However, you convert the insurance at the rate class you originally qualified at. What that means is that if you are 60 years old and have cancer but originally qualified at a preferred plus rate class in your 40s, you will be able to convert your policy at a preferred plus rate class, despite the fact that you have cancer. You are essentially buying life insurance in your 40s as a protection that you can choose to utilize down the road if necessary. At the same time you are paying lower premiums for term than you would for whole life insurance. – Usually acquired some serious debt. Which are all some serious reasons 40 year old men and women need to begin thinking about buying some life insurance so that their loved ones would be protected in the event of their untimely death. The good news is that you are young and you have a pretty good idea of what it will take to protect your family. For many of us during our 30’s, a hundred thousand dollars seemed like enough money to last forever! Now that we have a family, a mortgage and debt, that same $100,000 doesn’t seem so impressive, especially if it’s all that’s there for your family when you’re gone! That is why anyone seeking life insurance in your 40s should consider getting more insurance even if you already have a small policy in place. And an additional benefit of life insurance in your 40’s is that it comes with an accelerated death benefit. What that means for you is that if you should be diagnosed with a terminal illness and given less than 12 months to live you can take up to half of the death benefit early. That means you have a terminal illness rider included in your life insurance that will allow you to prepare for an untimely demise. 4. Options, Options and More Options. When it comes time to purchase life insurance during your 40s its nice to know that you’ll have options. In fact what many people don’t realize is that as you age, many of the very popular term life insurance options, specifically no medical exam term life insurance, will disappear. It is for this reason alone why it’s important to not only to have an idea of how much insurance you need today, but also what you’ll need in 10, 20, or 30 years from today. Sound confusing? Don’t worry about it, the professionals at TermLife2Go will walk you through it! But With So Many Options, what Company Should I Choose? How much life insurance coverage are you looking for? 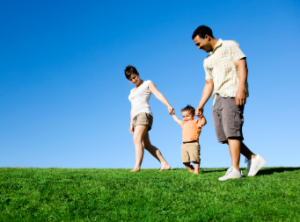 What type of life insurance policy do you want? Do you have a family history of cancer, heart attack or stroke? Do you participate in any dangerous hobbies or travel to any dangerous locations? Do you have a bankruptcy on your record? Not going to get an accurate quote. Which unfortunately happens all the time especially if the agent that you’re working with has certain sales quotas he or she must meet each month… AKA, call center agents. Or, it might also be the case that your agent is what is call a “Captive Agent” meaning that they can only write life insurance policies with one or two companies. If this is the case, knowing all the answers to these questions up front may not make a big difference because they only have one or two options to begin with! TermLife2go is an agency that works with dozens of top rated life insurance companies. Our #1 priority is to find you the best company at the best price…for you! That means we tailor a policy specifically to you because no two clients are alike. Let us leverage our expertise for you and see if we can’t save you thousands of dollars on life insurance.